Just after purchasing my red denim pants, I was tempted to buy the exact same pair in a mustard yellow shade when they went on sale. This video, currently on the homepage of ASOS, reveals that this colored denim trend is still on its upswing and will be alive and well come fall. 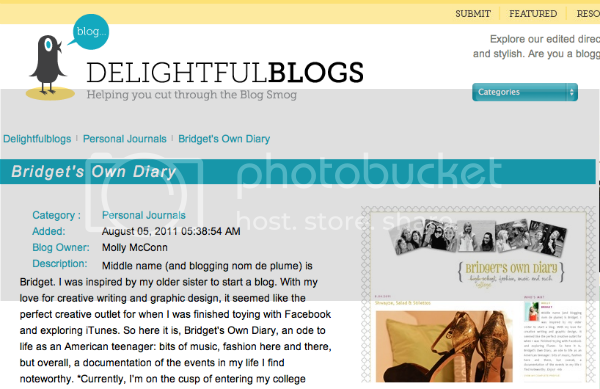 My blog was just recently added to DelightfulBlog's directory. So make me happy by voting, FB liking, or favoriting BOD! A documentary highlighting the history of New York's Fashion Week, The Tents, was released this summer. Most of the film celebrates the event's journey from its early stages at Bryant Park to its new home at Lincoln Center. It also showcases the many American designers who display their artistry, how New York became a mecca of fashion and ultimately, the story that gave rise to, well, The Tents. Just a little snippet of what I've found while perusing the internet during my lazy week off.